Now that high-speed Internet is the norm, there’s no reason to leave video out of your online marketing mix. In fact, 88 percent of businesses report that video is an essential part of their marketing strategy. Here are three tips for DIYing engaging videos that’ll win you customers without wiping out your funds. Take viewers behind the scenes. Success online is as much about authenticity as anything else. People want to see the real you. What better way to give them a glimpse of that than by sharing behind-the-scenes video? And it doesn’t have to be fancy. Use your smartphone to record preparations for an event or your employees volunteering for a charity. 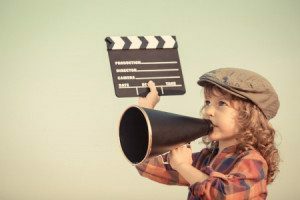 This kind of video bridges the distance between your brand and your customer by helping you connect with your audience on a personal level. Make sure your audio is good. All that authenticity will be wasted if your audio is bad. People may be tired of slick marketing materials, but they want to be able to hear what’s being said. Unpolished shouldn’t equate to unintelligible. Listen for pops, hisses or echoes in your video. Project your voice and think about investing in a USB microphone. Blue Microphone’s Yeti and Snowball models are two good options that aren’t overly expensive. Audacity is a free editing software that has an easy-to-use tutorial. Making so-so audio superb doesn’t take much, but the payoff is huge. Master your message. Always keep in mind that your video isn’t about you. It’s about your client. Put yourself in your customers’ shoes and think about what they’d like to see, hear and learn about your company. Deliver value and make it personal. Creating great video content isn’t as simple as just hitting ‘record’. But it doesn’t have to be overly time consuming or expensive. Even on a budget, you can produce an engaging video that builds your brand and converts viewers to clients.